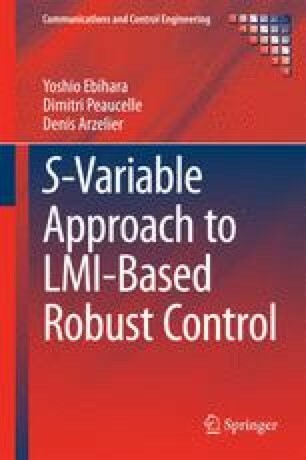 Chapter 5 focuses on multiobjective control design problems for discrete-time LTI systems. The goal here is to design a controller that satisfy multiple (and typically conflicting) design specifications. In the state-feedback case, the advantage of the SV-LMIs readily follows from the synthesis results in Chap. 4. To handle output-feedback case, we first extend the results of Chap. 4 and provide SV-LMI-based formulas for dynamic output-feedback controller synthesis. Then, the effectiveness of the SV-LMIs in conservatism reduction can be shown almost the same way as in the state-feedback case.